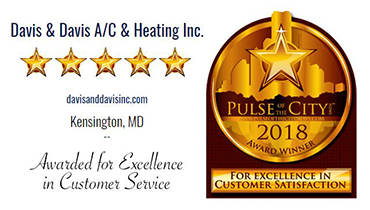 We provide HVAC service calls and installation throughout Potomac Md including homes, townhomes, condos and apartments in residential homes. 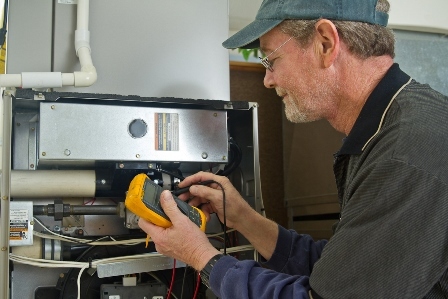 We also service commercial businesses throughout Potomac Maryland. Products and services available to homeowners and businesses in Potomac Maryland include heat pump installation, central dehumidifiers, whole house humidifiers, heat pump repair, service contracts, central heating systems, new furnace installation, central cooling systems, natural gas or electric, energy efficient systems, programmable thermostats, air conditioning repair or replacement, emergency and weekend service calls, zoned comfort control systems, whole home air cleaners, hot water heaters and more. After having a most recent installation of a New Furnace I had to write this review about them. It all started with D&D in May 2009 when a old company I was dealing with did not return when I requested service on my old A/C unit and decided on D&D to come out to work on the A/C unit. In 2010 I decided I wanted a new A/C unit that they installed and is still working perfectly. In 2013 my old 20 year furnace would not start up and they came out with in two hours and repaired my furnace. My last dealings with them was this past November 2017 and this time my now 24 year old furnace had to be replaced since it would be dangerous to try to continue to use it. Timing was not at it's best since it was a day before Thanksgiving day. At my request the technician ( Craig ) was able to get a sales representative ( Dennis B. ) and he took the time to answer all my questions and to show what furnaces they had available to install and models for my home. Due to Holiday new furnace installation took a bit longer which I fully understood even before I was told it would. Furnace installation took about 8 1/2 hours. Forgot to say I also decided on a humidifier and a better air filter installation this time and all this work was done by Technicians Les and John . Furnace working perfectly. I would like to thank also the past Technicians that I have had to come to my home ( Eric, Kevin, Mike, Keith ).